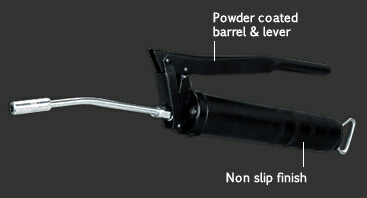 SAE Products® Lever Action Grease Gun is a hardworking entry level gun, designed for general lubrication. 2-way loader allows cartridge and suction loading. Powder coated for durability.